Cursive? What's cursive? How many of you still teach it or have students that come to you knowing how to write in cursive? Learning how to write ones name is one of the first things that children learn. They need to know how to write their own name with paper pencil. Right? Well, we haven't changed it. 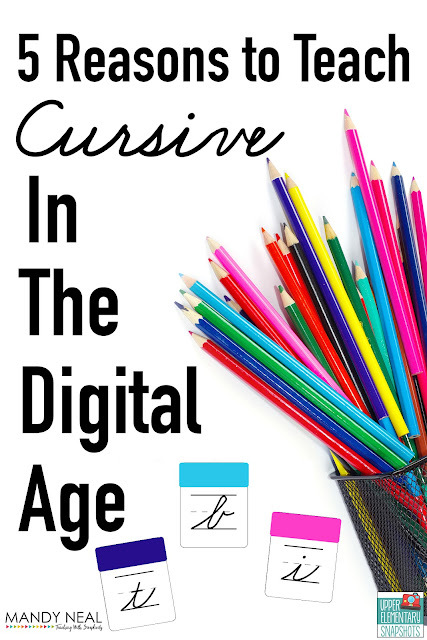 With technology being so readily available, once students learn how to write in print, cursive has been place on the back burner. The Common Core Standards took it out completely. So, you may be wondering why is it necessary to teach cursive in the digital age. I have five reason that may persuade you to keep it in the curriculum. Needing to write your signature is just as important today as it was 200 years ago. Signatures are needed on legal documents. When you are told to sign your name, do you sign your name in print or cursive? If you have your own signature, it's your own style, and much harder to duplicate. Without knowing the basics of cursive, creating your own signature is a little more difficult. 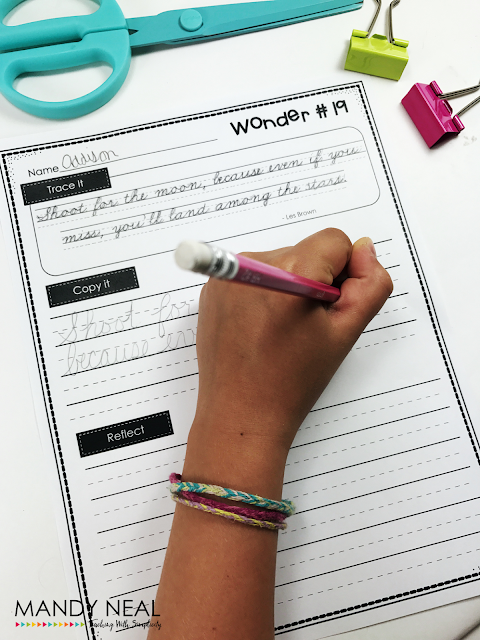 Have you ever watched students learn cursive for the first time? It's definitely not as easy as one would think. 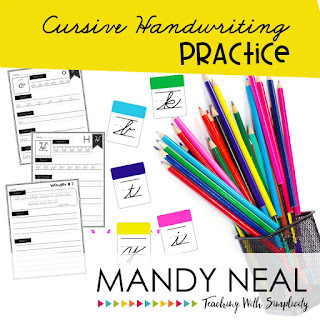 When writing in cursive students use hand muscles in different ways, a different part of their brain is activated, which in turn can be beneficial in furthering motor skill development. Like mentioned in number three, learning cursive is not easy. There is a lot of eye/hand coordination that goes into creating those curvy letters. It takes a lot of concentration for a long period of time to get it right. All the concentration contributes to patience and diligence. 4. What Happens if There's No Technology? Technology, what would we do without it? Some of us couldn't imagine a world without it, but who is to say that it will always be there. Writing in cursive is faster. So, if you are without a keyboard, and taking notes is a necessity, you have cursive as your backup. 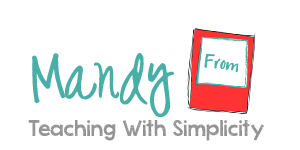 There is a lot of research out there about teaching cursive. One argument is that students need to be able to read historical documents. It's not that I don't agree with that, but I don't know that I have ever had to read the Constitution in its original form. 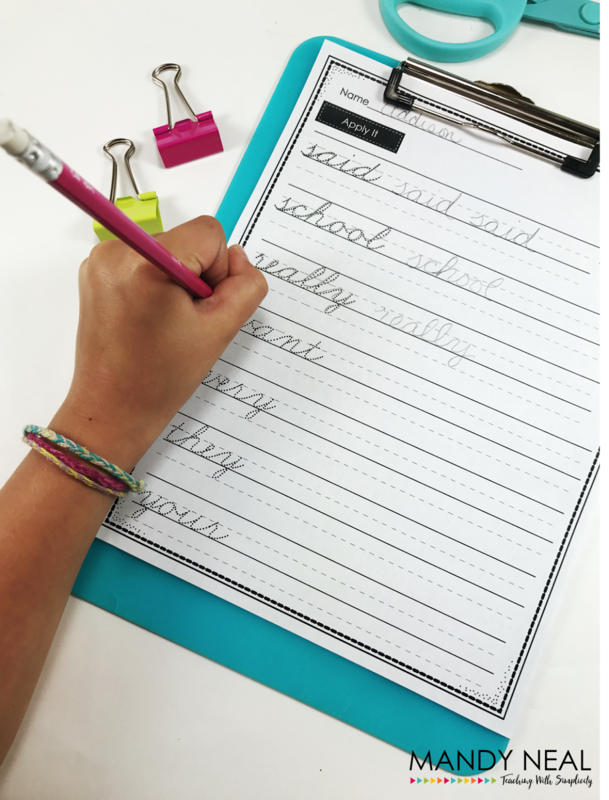 While it may be important to read historical documents, it's not the only reason students need to be able to read cursive. Children still have adults in their life that write in some form of cursive. Not everything we encounter is digital. I have had many students see something written in cursive and tell me that they can't read it because they can't read cursive. So, if we teach students to write in cursive, they will be able to read cursive. The days of teaching cursive to perfect it may be a thing of the past, but teaching students to write in cursive should still be an important part of the curriculum. Where should you start? I have the solution HERE. 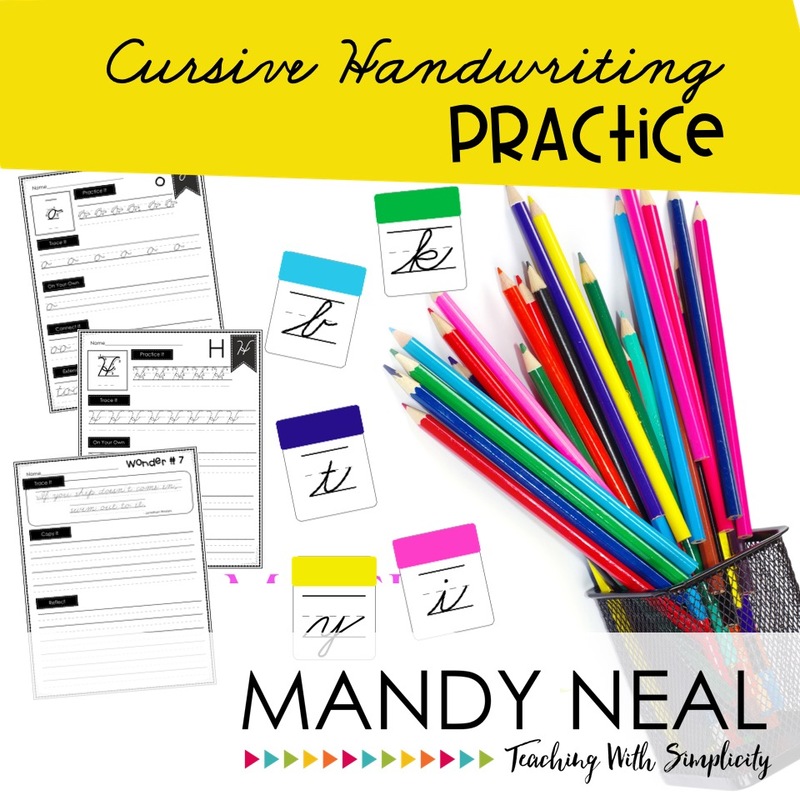 Everything you need to get started and continue teaching cursive at your fingertips.